Millennials don't use credit cards like their parents -- or their grandparents. Less than a third of Millennials say they have a credit card, while more than half of people age 30-49 own one and nearly 70% of people over 65 do, according to 2016 Bankrate survey. Financial experts say it's the fear of debt that explains why young people are shying away from credit. 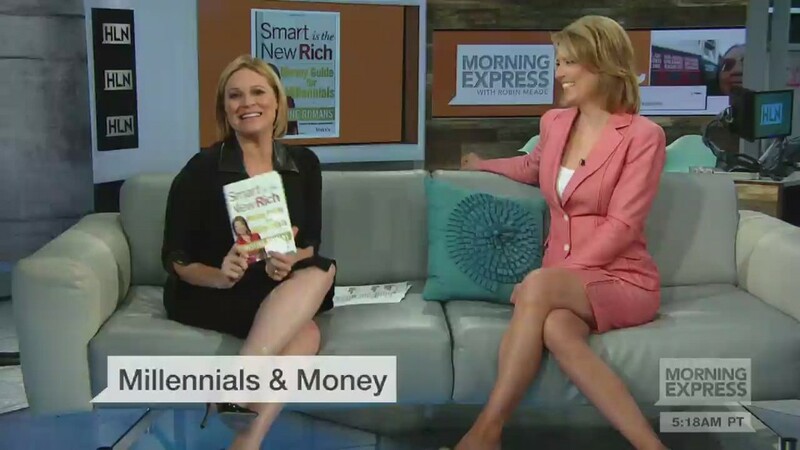 "Millennials have been stigmatized by debt," explains Douglas Boneparth, president of Bone Fide Wealth in New York and co-author of The Millennial Money Fix. "They've witnessed firsthand the effects that mishandling debt can bring." Many watched parents or friends slip into debt during the 2008 financial crisis. Others have been crippled by student loans that take years to pay off. Experiences like that have made Millennials wary of spending money they don't have and more likely to rely on debit cards or cash, according to Bill Pratt, author of The 7 Things Every College Student Needs to Know About Credit, Debt & Ca$h. Consumer protection laws passed after the crisis also contribute to the generational gap. The CARD Act of 2009 makes it harder for Millennials to qualify for a credit card unless they can prove they have enough income to pay it back. While being cautious about taking on too much debt is smart, experts agree using credit cards -- responsibly -- can lead to benefits down the road. Thinking about taking out a loan for a new car or your first home? Good luck if you don't have a credit score. Your score is one of the first things lenders will check. It helps lenders see that you've been reliable with credit in the past. That might be tough to prove if you haven't opened a card or been using it lately. For younger people, credit cards and student loans are often the first and only things showing up on their credit reports. If you don't have enough credit history, you might not even have a credit score. A strong credit score not only helps you get a loan, it'll secure you better interest rates and save you money in the long run. It might even mean the difference between landing a job or being able to rent an apartment. "Showing lenders you are responsible with credit usage can have a positive long term impact," says Ashley Foster, a certified financial planner in Houston. Credit cards provide great opportunities to score rewards for your day-to-day spending. "When done right and responsibly, you can leverage your accumulated rewards to accomplish your goals without breaking the bank," says San Francisco CFP George Galat. Avoid chasing rewards because that can lead to spending beyond your means. But do take advantage of credit card offers that allow you to maintain your usual spending habits, Galat advises. Analyzing your current and past spending history will help you determine which rewards program is the best fit, notes Atlanta CFP Serina Shyu. For example, if you spend a lot of money on, say, groceries, travel, or restaurants, look for cards that maximize rewards in those categories. If you're going for travel reward points, look for cards that offer versatile rewards that can be cashed in multiple ways. If you're not a big traveler, a cash back card might be the way to go. Another compelling reason to opt for credit cards over debit cards is because they're a better safeguard against potential fraud. That's because consumer protection laws treat credit cards differently than debit cards. You're not personally liable for more than $50 for credit card fraud. If your debit card gets stolen, however, you could be on the hook for $500 or more depending on how quickly you report the charge. Additionally, if there's fraud on your credit card you won't feel the loss in your pocket because the money isn't drawn directly from your account as it is with a debit card. Plus, if someone uses your debit card and the money is taken directly from your checking account, that can immediately lead to overdraft fees, according to Ryan Fuchs, a CFP in Dallas. It can also take weeks to resolve debit card fraud disputes and get your money back, Fuchs says, so you might be stuck if you need to pay rent or buy groceries in the meantime.